I think my mother once tried to serve us muesli when we were kids. This was back in the day when Cheerios and milk was our standard and anything else for breakfast was considered sacrilege. You want me to put yogurt in my what? It wasn’t until years later, after university, while trekking through Europe that I truly ‘found’ muesli. Or rather, it found me. Seems it’s quite the breakfast staple over in Europe and it was that or starve until lunch if I wanted the free hostel breakfast. Who knew? We don’t just throw our ingredients together, we balance and blend them carefully using our knowledge of what tastes delicious. 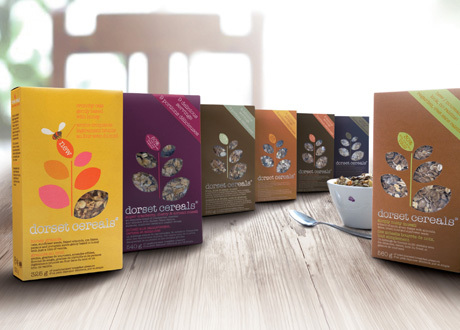 We don’t scrimp, we make sure our recipes are stuffed full of fruit, nuts and seeds. We don’t forget the flakes—they get as much attention as the fruits. The result is a really tasty breakfast that’s rich in whole grains, provides a good source of fibre and contains no added preservatives. The large-size oats, nuts and generous fruit you get in each bowl creates an interesting mix of textures. Probably one of the best qualities of muesli. Breakfast isn't one-dimensional and boring. Win this $150 value gift basket. Details below. If you’re feeling lucky, and writerly this week, comment on this post on tell us a story about dads and breakfasts (It is Father’s Day this coming weekend after all!). We’ll draw from all eligible entries received by Friday, June 15th. i often make my dad a pancakes and bacon breakfast on holidays and other special occasions. My Dad was the one who introduced my to oatmeal and cream of wheat. He would make a big pot when I was young and we eat it together. I would share the muesli with him if I won! my dad rarely wakes up in time for breakfasts, only when he plays golf! I didn’t live with my dad growing up, but I do have one memory of staying with him for a weekend and accidentally breaking an egg on the floor. In my attempt to “clean” the mess before he noticed, I basically wiped egg across the entire kitchen floor before my uncharacteristic quietness drew his attention. My dad was a believer in “breakfast is the most important meal of the day” and we’d have a full breakfast every morning before school. Sometimes it’d be full on bacon, eggs, and toast; other times it’d be oatmeal or cereal. I tell you though, our cereal was NOT GOOD. Bran, flakes of yucky, and NO SUGAR. In any case, our family would sit at the counter, quietly eat our breakfasts, talk about the upcoming day, and if I was lucky, I’d get 2 teaspoons of coffee in my glass of milk. I felt so grown up! Growing up my favourite thing for breakfast would be a steamed bun with a slice of spam. However in my teenage years I became a vegetarian so that effectively cut out all spam in my diet. However my dad for years would attempt to recreate my favourite breakfast sans spam. I was so touched. I love my dad so so much. My father used to always make us bacon and eggs on a bagel. He was the master of cooking an egg in the microwave lol. It sounds not so delicious but I quite enjoyed it and it was our weekend tradition. If I were you I’d hire me to develop a recipe for muesli pancakes which would be posted on the back of every box. Delicious served with maple syrup and bacon. We all know every Dad loves bacon! Everyday of the year! Congrats to our winner, Jen. 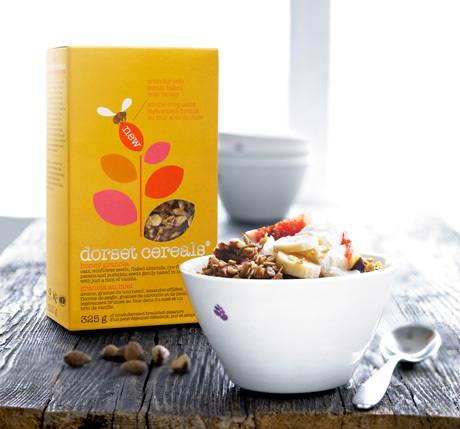 Drop us an email with your details and we’ll get that $150 Dorset Cereals gift basket out to you! 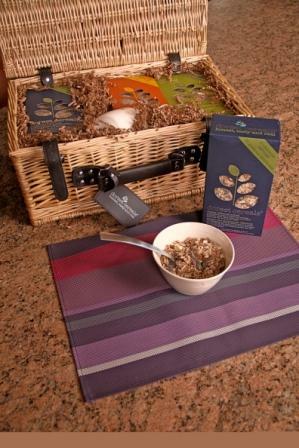 Thanks everyone who entereed and hope you get a chance to go out and try some of this muesli—it really is good stuff. I am very excited to have found the website and to learn so much more about food.